This Aurora M10 Dimmable LED Fire Rated Downlight in Cool White is an adjustable 8.5W IP65, fire rated downlight constructed in aluminium with a white finish. 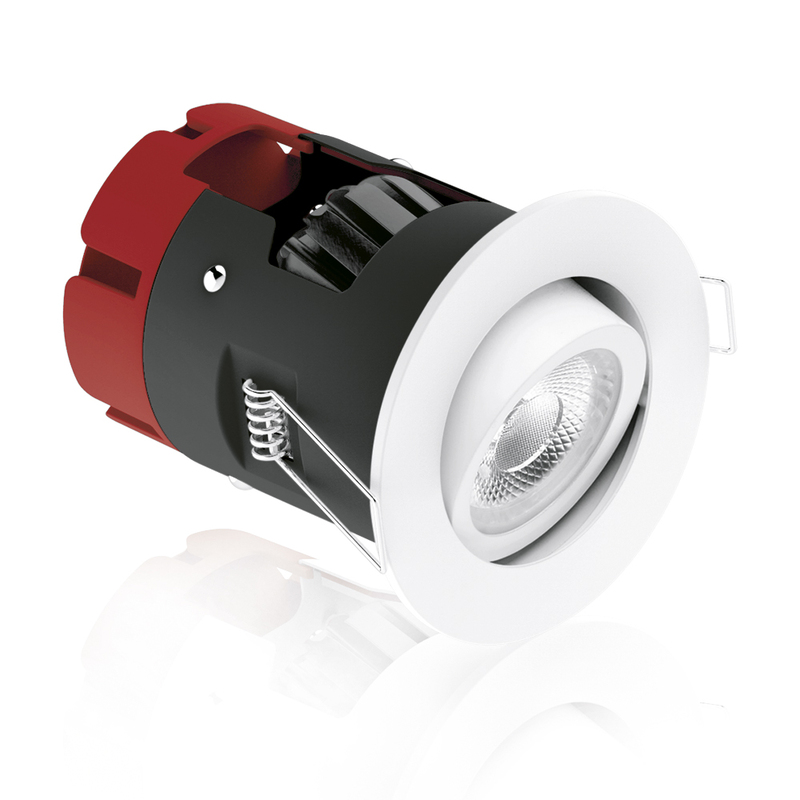 The downlight will produce 595 lumens and its HVLED is a single point, high output light source that eliminates the need to install a separate driver. The M10 technology eliminates the weakest part of the LED system, namely the driver's capacitor, which makes the unit less susceptible to high ambient temperatures and thus improves reliability. Its diamond faceted LEDchroic micro lens array means that 55 halogens like lumens is produced by each of its 10 watts.